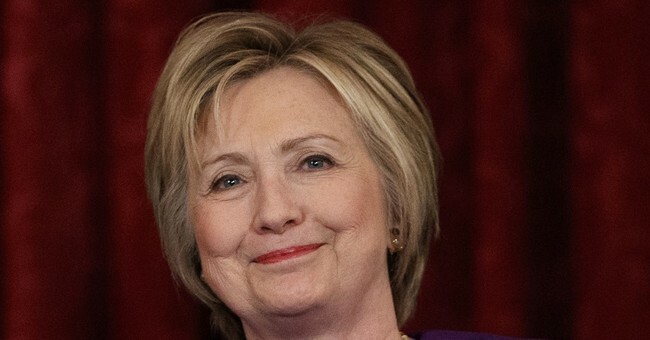 I wish I could tell you that, having dodged the naggy bullet that was Felonia Milhous von Pantsuit, we can now spend the next four years being left alone. But that’s not in the cards. Liberals won’t – because they can’t – pause to reflect on how they should stop being such insufferable jerks and live with us normals in peace and mutual respect. Instead, they are doubling down on their gambit for unrestrained power over every aspect of our lives, fueled by a hatred for Donald Trump that is, in reality, a hatred for us. Remember, they really do hate us. Just ask them. Just watch what they do. They will always side against us – even when a professional scammer stages a fake “hate crime” on an airplane. They will side with the hoaxer even though every single “Trump-inspired hate crime” – and almost all others – turns out to be a hoax. Every. Single. One. When it comes down to it, they are more worried that some buffoon will sneer at a woman trapped in burka than that the psychotic creep who stuck in it will butcher a bunch of normal Americans while shouting “Allah akbar!” We have to say “No” – normal lives matter. They babble on about not “normalizing” Trump’s election when their real goal is to delegitimize anyone exercising political power but themselves. This is not about Trump – this about us. Reluctant Rockettes? Radical LGBT jerks screaming at children on airplanes? And my personal favorite, the recent discovery by the very people who never saw a Soviet rear they didn’t hurry to kiss that the Russians aren’t our pals. This is how liberals intend to break our will to resist, with a never-ending series of petty controversies and provocations until, exhausted, we simply give up and surrender, exhausted, to their benign dictatorship. Well, to quote their failed progressive goddess, we ain’t in no ways tired. Remember: Liberals are fearful because they know the kind of oppression they absolutely intended to inflict upon us if they had won, and they worry that we will do to them what they wanted to do to us. Well, I say let’s make their fears come true by demolishing their cultural edifice of hate and tyranny. Let them rule over the smoldering ruins of their dreams of power. You may not care about politics, but politics cares about you, and if we just give up and let these nanny state parasites go unchallenged we will eventually wake up in chains. Forcing our little girls to be surrounded by urinating men in dresses is not the endstate – it’s just the beginning of a never-ending series of cruel humiliations and calculated oppressions liberals will seek to inflict upon us. Their goal is not just to take power but to revel in the wicked delight of rubbing our faces in our powerlessness. They hate us. Get that through your head, then act accordingly. And acting accordingly means fight back, hard and ruthlessly, every time they try to assert their tyrannical inclinations. But mere defense is not enough, though it is essential that each and every slight, provocation and assault be met with overwhelming and merciless pushback. It means attacking and gutting the liberal power base by popping the institutional pustules where progressivism festers. Trump and the GOP must ruthlessly slash the governmental funding mechanisms that force us to pay for our own oppressors. Defund Planned Parenthood, sure. But that’s just a start. NPR, PBS, and all the rest need to go too. Outlaw collusive federal government lawsuit “settlements” that force companies to fund leftist “non-profits.” Derail the liberal gravy train. Wreak the Democrat Party. Ignore the liberal lie that minorities are too dumb to obtain ID – aggressively move to fix the election system to ensure liberals in big cities can no longer cheat. And yeah, they cheat. Enforce immigration laws and stop letting them import foreigners to outvote the Americans who reject Democrat nonsense. Support President Trump as he seeks the support of minority Americans – the Democrats rely on retaining minority support through lies and governmental dependence. Break that cycle, and it becomes a party of a few white wine-drinking toffs in high income zip codes and college towns. Crush the college cartel. Slash their budgets. Attack the student loan scam that transfers money from naive young people to scheming academics who steal the futures of their grads in return for useless degrees in gender studies. Punish the mainstream media by going around them. Don’t subscribe. Don’t watch. Support the Trump administration as it avoids the gatekeepers via alternative media and by communicating with us directly via Twitter. Support the alternative media yourself – if you are paying for the New York Times or watching NBC, you are collaborating with the enemy. And the same goes for the entertainment industry – refuse to watch or read leftist propaganda and support independent entertainment and books like, well, mine. Here are your three choices. There are only three. Pick one. 3. Liberal in charge, persecuting normal Americans. I would prefer Choice One, but liberals seem to have vetoed that. Fine. Then Choice Two it is – us in charge, because allowing these aspiring liberal fascists to rule us is no choice at all.